The last doorbell you’ll ever buy. Never miss a visitor again. 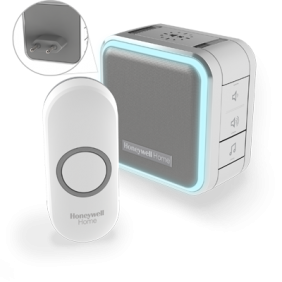 A portable doorbell that grows with your family and adapts to your lifestyle, with an outstanding 200m wireless range supported by Honeywell Home ActivLink™ technology for total peace of mind. Designer doorbells that blend seamlessly into any home. 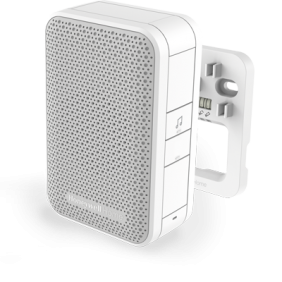 Compact, chic doorbells that are bursting with amazing features and pack fantastic sound quality too. 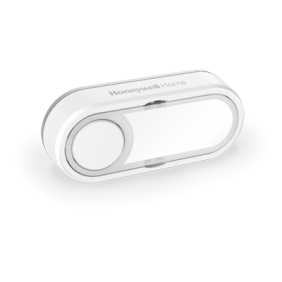 Portables, plug-ins, or both, there's a Series 5 doorbell to suit every home and family. The best in simple and efficient doorbell kits. A hassle-free, reliable doorbell, ready to go straight out of the box, with a choice of 4 high quality melodies and a two year guarantee. You can be set up in minutes - simply fit, and forget. 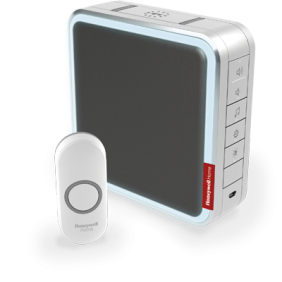 Portable doorbells have an outstanding range, meaning you can take them with you around the home and garden so you’ll never miss a visitor or delivery again. Plug-in doorbells are always powered and ready to go. Our range features such benefits as our innovative nightlight mode. Front and back door kits provide a simple, hassle-free solution for your home, providing two pushes that are pre-linked to one doorbell so you’ll never miss a visitor again. 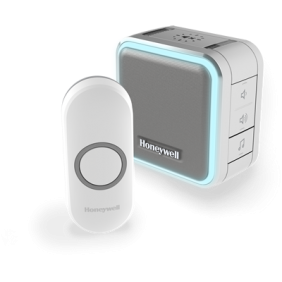 Discover what makes Honeywell Home Doorbells truly revolutionary. 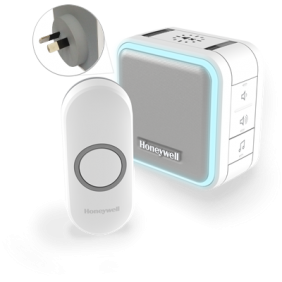 Take our portable doorbells anywhere around your home and garden, with Honeywell ActivLink™ technology providing a reliable wireless range of up to 200m. Or link two doorbells together to boost your range up to 400m. The Halo Light and LED Strobe features are discreet but effective visual alerts which complement your chosen melody in loud environments, or help to alert you when the doorbell can’t be heard. Nightlight mode can also provide a soft, comforting glow to guide your way in the dark. 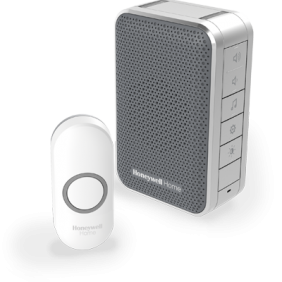 Our compact doorbells pack a punch, with an adjustable maximum volume of 90dB that can be heard up to 100m away. Choose from a range of up to 8 rich, clear and digitally enhanced melodies, or customise to suit your style by uploading your own melodies. 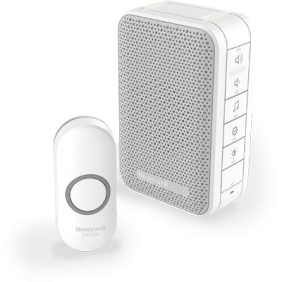 Compact and beautifully designed in a harmonising palette of white and grey, our doorbells are designed with your home in mind. Some plug-in kits feature USB charging, so you can still power your phone or tablet without unplugging your doorbell. 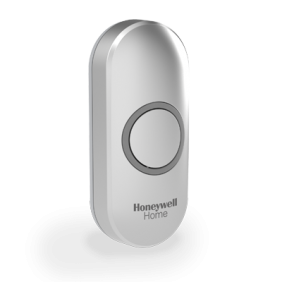 Honeywell ActivLink™, using the 868MHz frequency, is our innovative wireless protocol which delivers greater range capability, extended battery life of up to 5 years, and improved connection reliability, all supported by our 2 year product quality guarantee. 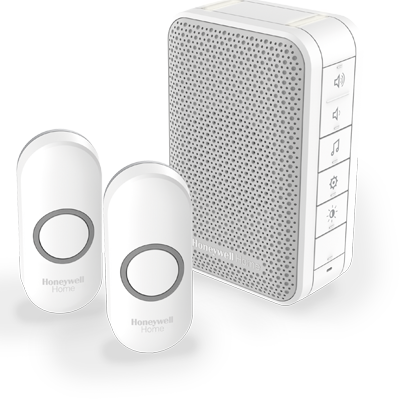 We have a range of doorbell kits to suit your every need. 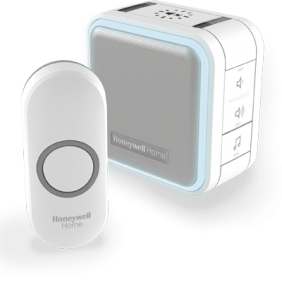 Choose from a full range of accessories that complement your Honeywell Home doorbells.